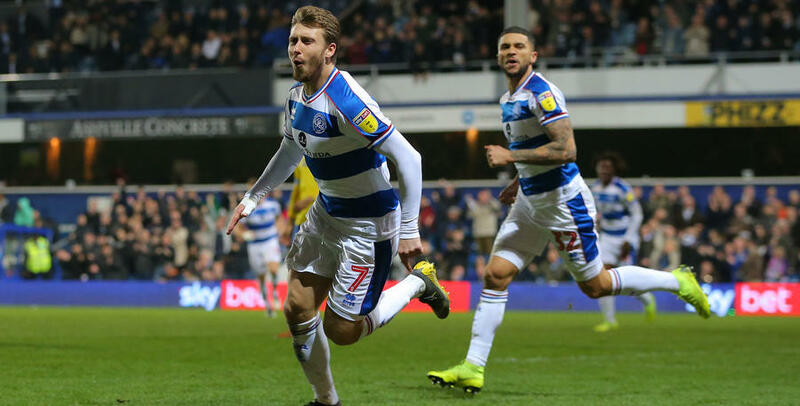 QUEENS Park Rangers secured their first three points of 2019 with an excellent 1-0 victory over Leeds United at Loftus Road this evening. Luke Freeman’s clever finish three minutes after the break was enough for the R's to claim a hard-fought win over the Whites. The result moves QPR above Stoke in the table and provides Steve McClaren with his side’s first victory in 11 league matches. The R’s boss opted to make two changes with Nahki Wells and Luke Freeman in for Tomer Hemed and Ryan Manning. That meant Joe Lumley kept his place in goal and Rangers lining up with a back four from right to left of Darnell Furlong, Toni Leistner, Grant Hall and Jake Bidwell. In front of them were the two central midfielders Jordan Cousins and Massimo Luongo with the returning Luke Freeman and Pawel Wszolek occupying the flanks. Ebere Eze and Nahki Wells provided the partnership up front. Our visitors were unchanged from their 2-1 victory over Bolton on Saturday. Kemar Roofe – who had netted six times in his last three games against QPR was ruled out with an injury. Leeds almost got off to a flying start when a crisp move saw Pablo Hernandez played in on the right-hand-side but he didn’t connect properly with his shot and it went wide of the far post. Rangers actually settled well but the next chance of the match went Leeds way from a set piece. Kalvin Phillips was unmarked from an Ezgjan Alioski corner but Lumley palmed his header over the bar. With both sides cancelling each other out in midfield, a pattern of the game hadn’t really developed 30 minutes in although Leeds forward Patrick Bamford perhaps should have done better when first firing over from a Luke Ayling cross and then failing to get on the back end of a Hernandez cut back. A few crunching tackles from Jordan Cousins and Grant Hall seemed to lift the Loftus Road crowd but their team were yet to create any opportunities of note. Luongo had McClaren’s side best chance of the half when he fired over from the edge of the box after good work from Wells. The half-time whistle went with the game evenly poised and a big 45 minutes ahead for both teams. And it was Rangers who struck first with their talisman Luke Freeman once again producing a moment of quality to give the Hoops the lead. Luongo went on a rampaging run down the right wing and squared it for Luke Freeman who nonchalantly flicked the ball into the net for his seventh goal of the campaign. QPR had the chance to go two goals up a few moments later when patient build-up down the left-hand-side saw Bidwell deliver a cross onto Wszolek’s head but the Polish international’s effort was tame. The R’s so nearly doubled their lead just before the hour mark. Freeman dropped his shoulder and went past a couple of players with the ball finding the path of Nahki Wells 10 yards out but Kiko Casilla did really well to smother him. The game now had an excellent flow to it. 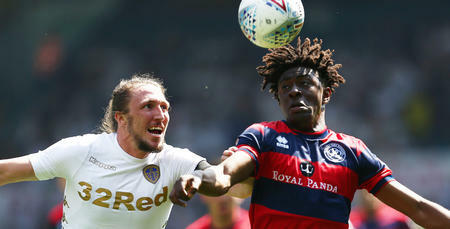 Leeds were obviously desperate to get themselves back into the match but the more men they pushed forward the bigger Rangers threat on the counter-attack grew. Freeman, who seemed to be everywhere, again went close from long range. On the 67th minute, Massimo Luongo almost scored with an outstanding volley. Freeman’s corner was headed out and the midfielder connected sweetly with the ball but his effort just went over the crossbar. Rangers were undoubtedly pressing for the second goal to seal the victory. However, through Hernandez, the Whites possessed the quality to unlock a defence at any time and that’s what he did on the 75th minute when he played in sub Barry Douglas but his finish lacked composure and went over the bar. A let off for Rangers. Three minutes later QPR had their keeper to save for keeping them ahead. 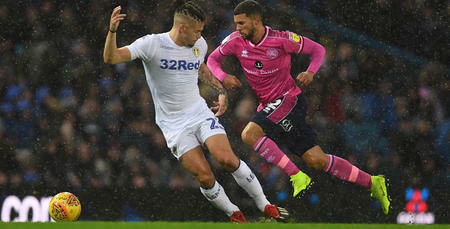 A slick move involving Stuart Dallas led to two excellent chances for Bamford but Lumley somehow denied him twice from close range. The visitors were now beginning to put Rangers under relentless pressure. Tomer Hemed and Bright Osayi-Samuel were brought on for Wells and Eze as the R's looked to add some fresh legs. The crowd, who were fantastic all evening, were roaring on their team to hold on after witnessing late heartbreak in two of the last three league games. 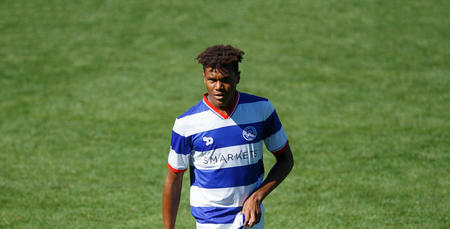 Osayi-Samuel then almost secured the win for QPR in the 89th minute after Scowen won the ball in midfield. The winger drove forward and from a tight angle had a left-foot shot that was well saved by Casilla. The officials somehow found five minutes of additional times but Rangers showed their spirit to hang on for an excellent, and much needed, three points.